"The aim of this workshop is to explore the versatility of painting and drawing through the process of mark making and how to translate our direct response to the landscape. Working directly in the landscape we will explore ways of working in sketchbooks up to how to work on a large scale outdoors. During the workshop I will do a variety of demonstrations on different techniques." The course will combine time spent outdoors and time back in the studio - depending on the weather! You'll have the option to work in your preferred media, with a chance to experiment in alternatives and 'mixing it up'. 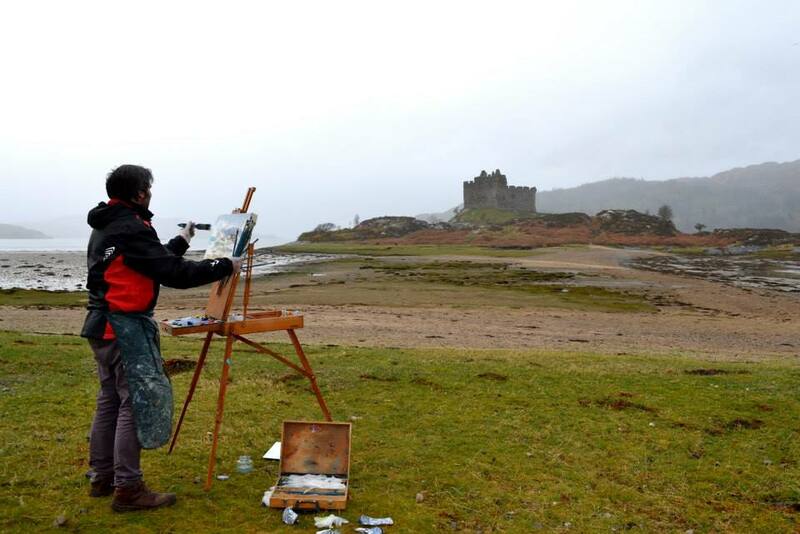 This is a rare chance to work with Jonathan, a talented and accomplished landscape artist based in the Highlands. He's not often tempted south of the border - so we're honoured that he's agreed to return to the Lund in 2019! 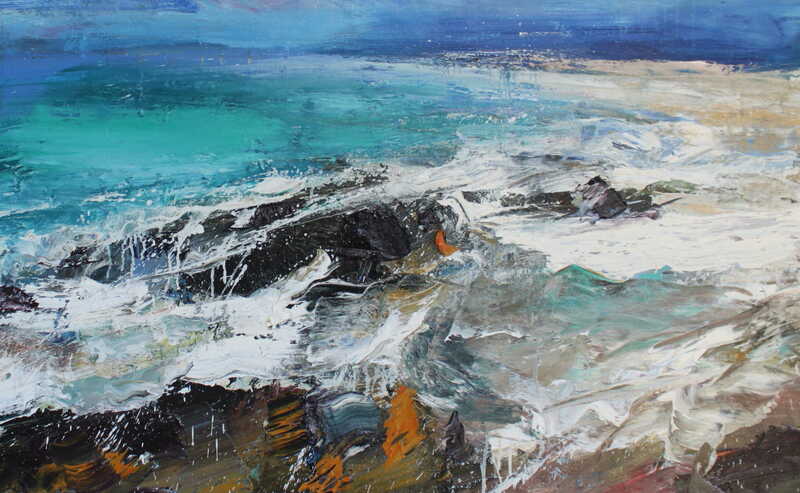 The main concern of my work is to convey my visual response and physical engagement to the environment i find myself in at the time.I work predominantly en plein air as this gives the work a spontaneity and integrity seldom achieved in the studio. Working on site also allows me more freedom to explore my process of mark-making in direct response to the subject matter. 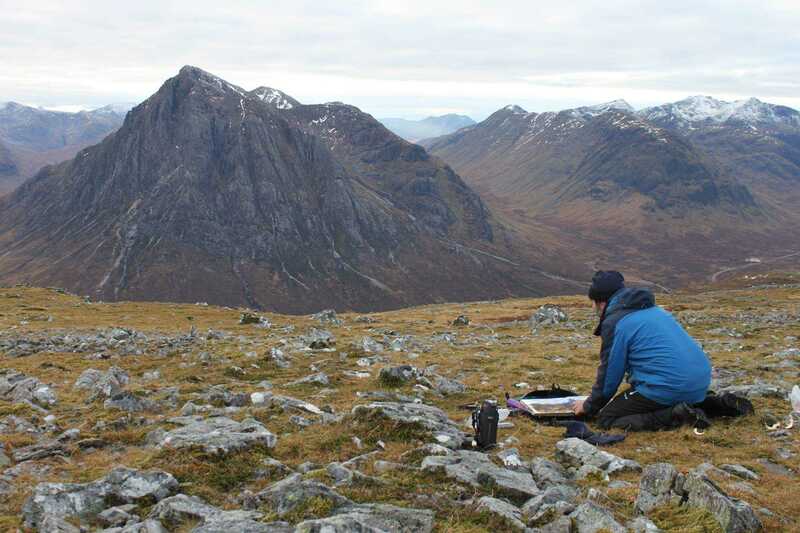 Through a process of walking and drawing in the landscape i have developed an intimate knowledge of the wild places in Scotland.In my work i aim to translate the experiences of wild places,the wind in your face,the soft bogginess of the ground,the sheer exhilaration of wild places. A graduate of Grays School of Art (1993) and Cyprus College of Art (1996), Jonathan has exhibited widely throughout Scotland and has been the beneficiary of several awards including the Royal Scottish Academy, Sir Robin Philipson Memorial Medal and also their John Kinross Scholarship to Florence. His work is held in various public collections which include the Royal Scottish Academy and private collections throughout United Kingdom, North America, South East Asia and Cyprus.